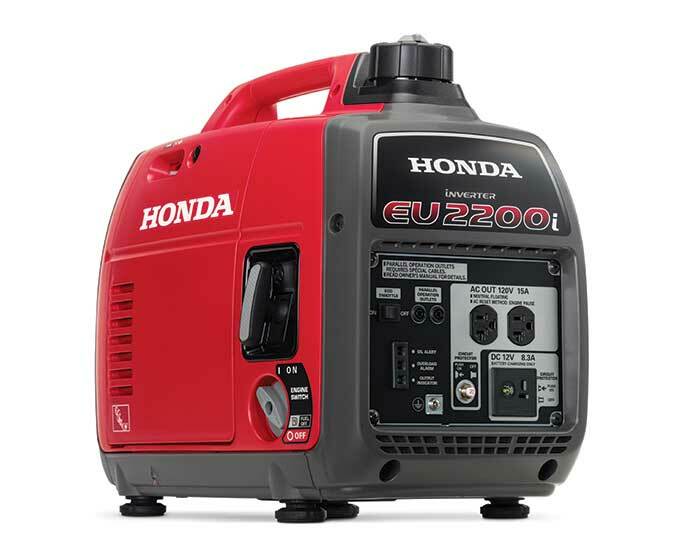 Honda Generator EU2200i delivers 2,200 watts of super-quiet, portable power that’s perfect for home or camping use. Great for running appliances such as microwaves, coffee pots, and refrigerators, this lightweight generator is also fuel-efficient, working up to 8.1 hours on a single tank of gas. The shut off valve allows the engine to run with the fuel supply off which helps prevent issues related to stale fuel and the large spout and oil drain gutter ensures cleaner and easier oil changes. 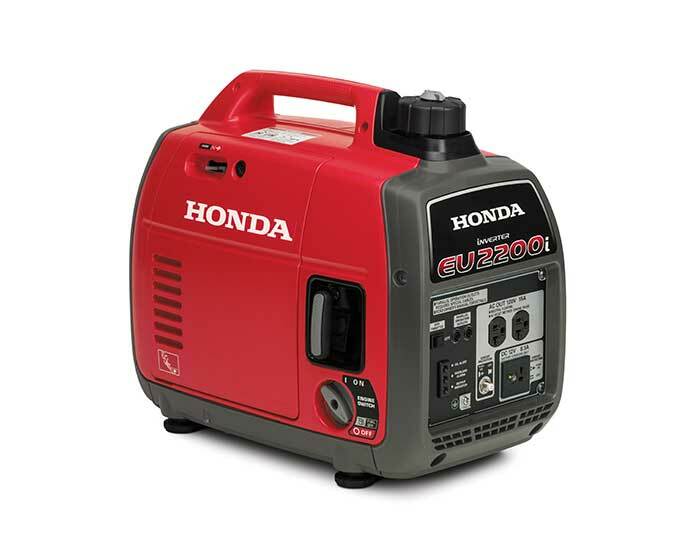 Honda Generator EU2200i's design incorporates color-coded startup points to start the generator. Increased ventilation improves airflow while a 3-year warranty covers you through countless power outages and outdoor events. * Great for portable home use or camping – powers TV/DVD players, satellites, refrigerators, small AC units, microwaves, coffee pots, hair dryers, etc. * Lightweight – less than 47 lbs.